I can understand where her dad and Tenzin are coming from. Any good parent will want to protect their child. But imagine your child is the most powerful being on the planet? Her predessor was hunted most of his childhood. If I was that parent, I'd be mortified. It's a parent's right to make certain choices for their child until they come of age, even if they are choices that the child disagrees with, because more often than not the parent is doing it for good reasons & have more foresight. This is a poor comparison. Aang was hunted by Ozai, because there was a major world war going on. Nothing like that is happening now, so the excuse that Korra was in some extreme danger simply does not work. Furthermore, while it is true that a parent has the right to make choices for their children to some extent, there are limits to that. If for example your child gets a severe illness that could be cured with modern medicine, but you are someone who believes in somekind of nonsense like say homeopathy, you do NOT have the right as a parent to deny your child proper medical care. I believe that morally, the authority of the parent over child stops at the point when the decisions of the parent start hurting the child. And as Ikkin has pointed out, there is quite a bit of evidence to support that Korra spent a lonely childhood with no friends or proper social interaction. That would have hurt her, which means Tonraq did NOT have the right to do that. Korra also knows that Aang is her past life, and its common for a current avatar to get guidance from the past one. As such its important that Korra trusts and respects Aang. Tonraq (and Tenzin) lied to Korra that Aang was the one who was responsible for her unhappy childhood, which could have poisoned the relationship between Korra and Aang. This again would have hurt her, and was NOT something Tonraq had the right to do. I am also disgusted by the sheer cowardice of both Tenzin and Tonraq. Answer me this. If those two truly believed with all their hearts, that what they were doing was right, then why did they not openly admit to being responsible. Why is it that they lied to her and claimed that Aang was the one to blame? Maybe because they knew that what they were doing was wrong, and they knew that if Korra learned the truth, her anger would rightly be directed at them, rather than a dead previous life. I can see why she was mad about being sheltered, but I think people here are exaggerating exactly how bad she had it. I don't recall the show ever showing she didn't have friends as a child. Yes she was sheltered, but that didn't mean she was alone and unloved. Regarding the lying, yes she should have been told earlier, I 100% agree. But if Tonraq and Korra's mother made this decision, is it really Tenzin's or Katara's right to tell Korra? Ikkin has already brought out material to suggest that Korra did not have friends or proper social contact. I would ask you to give me a scene anywhere in the series where we see Korra having a friend. Or even talking about a friend he had. I would say that the burden of proof is on you here due to it being impossible to truly prove a negative. If you are convinced that Korra did have friends and the kind of social contact a child needs, then show me where thats demonstrated. Show me Korra saying goodbye to her friends. Show me Korra telling Mako and Bolin about her friends at the compound. Show me Korra introducing her boyfriend to her old friends. As for Tenzin, given that he apparently had as much to do with Korras isolation, then yes, he should have had the courage to tell her: "My dead father is not to responsible, I am, I made the choice". I have mentioned before, that IF Tenzin had nothing to do with it, then he should obviously have pointed that out to Korra and defended himself. I would argue that the fact he does not deny Korras accusations is basically a confession from Tenzin. And to be fair to Korra's parents, when Korra decided to leave for Republic City, her parents weren't tying her down and ratting her out to the OWL. They let her go! That was her ultimate act of rebellion on the show and they both supported her in her decision. That doesn't sound like control freaks to me. Could they have stopped her though? Not to mention that if they had, Tonraqs lie would have been revealed. In fact, to be fair she had it better than Aang did. She had it better than Mako or Bolin. That's why it's hard for me to feel pity for her because I don't think she sees how much the people around her have fought to keep her safe. Her parents. The Order of the White Lotus. Her tribe. There have been sacrifices made by people in her life because they love her and she does little to acknowledge that. I hate this kind of attitude. Its not okay to accept a lesser wrong, because a greater wrong exists somewhere. If you get cancer, thats horrific, and it would not be made any less horrific by the knowledge that someone else in the world has died in a car crash (which would also be horrific). And given that she was obviously unhappy at being imprisoned, why should she acknowledge the sacrifices of others, when those sacrifices are done so she can be unhappy. The OWL could have done what was done with previous avatars, and take her to see the world which is what the past avatars got. Allow her to make friends. And so on. Given that no one was hunting her and the world was at peace, and given that no one even knew she WAS the avatar, the argument that she would have been in some great danger is total nonsense. Unless OWL is full of utter incompetent morons (which I admit might be the case), it would have been easy to give Korra enough skilled bodyguard to make sure she would have been ok while traveling the world. Good points, Akim. Korra does have reason to be upset with Tenzin and her father. But she made a mistake trusting her uncle just becuase she couldn't trust those two. You'd think she'd be even more wary. To get off the topic of Korra for a minute, I was just thinking how odd it is that Jinora is getting a major B-plot, when she was barely in the first episode. 201 set up Tenzin's storyline just fine, as well as Korra's, and whatever it is Asami is going to be doing, but Jinora was just Tenzin's luggage. Then she suddenly gets more scenes and lines that Bumi and Kya put together. I'm wondering if Jinora is less going to be a B-plot and more be an extension of Tenzin's plot. I don't it's odd that Jinora got a major b-plot in 202. Like you said, 201 set up Tenzin's plot...and 202 set up Jinora's. Nothing odd about that. All plotlines can't be set up in one episode. I think they're setting it up for Jinora to go on a spirit world adventure with Korra. Well Jinora DID sort of act like Aang first did when he saw the statue of Roku for the first time. I thought that was pretty odd personally. Then she thought she heard something and reacted much in the same way that Aang & Company did. I feel you are mistaken here. There are always threats in the world & the Avatar is almost always in danger because of their role in the world. I think the only Avatar that didn't have to deal with conflict that we know about is Kuruk, who ended up losing the love of his life to Koh, the face stealer. Pretending like everything is fine just because the 100 year war was over isn't logical. And I'm sorry, but the idea that no one would go after young Korra just because she is a kid does not work. There are bad people in the world who do bad things, many of which would love to take out the Avatar when they are a kid. And if you want proof, look at Avatar's own history. Sozin let Roku die, then exterminated the Air Nomads looking for Aang as a child. 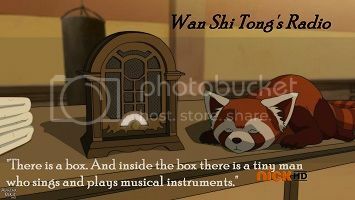 Aang inherited Roku's mess. Korra experienced the same thing. Yukone's legacy was the primary cause of the conflict Korra experienced during the last season. In fact, Yukone is a legitimate threat if you want an example of one. 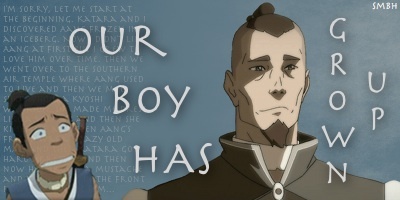 By the time Aang died & Korra became the Avatar, Yukone had escaped from prison based on what Tarlok said. Yeah we know he was powerless and went into hiding, but there was no way for the her family, the OWL, or Kataang's family to know that he was hiding and wouldn't seek revenge. And just because he can't bend, that doesn't mean he can't be a threat. There was no way to know if there wasn't someone out there who was power-mad like Sozin who would kill her to capitalize on the Avatar being weak. So what if Yukone attacked Korra as a toddler? What if some member of the triple threat triads wanted to kill the Avatar? What if some other bad people would come after her because she's the Avatar? What I'm trying to express is these are the thoughts a good parent has. Yeah you want to give your child everything, the best childhood, the best education, etc. But you are always going to be worried about your kid. Now imagine your kid is born with a target on their back. That's why I see their point. Because if little Korra had god-forbid, been killed at a young age because there was no one to protect her, then that would be horrific. A parent is going to want to do their best to protect them. ...there is quite a bit of evidence to support that Korra spent a lonely childhood with no friends or proper social interaction. That would have hurt her, which means Tonraq did NOT have the right to do that. Korra also knows that Aang is her past life, and its common for a current avatar to get guidance from the past one. As such its important that Korra trusts and respects Aang. Tonraq (and Tenzin) lied to Korra that Aang was the one who was responsible for her unhappy childhood, which could have poisoned the relationship between Korra and Aang. This again would have hurt her, and was NOT something Tonraq had the right to do. I wouldn't call that evidence. All the evidence I've seen that Korra had no friends is basically assumptions. Just because there weren't people waiting for Korra after Katara examined her in the S1 finale along with her family and friends doesn't mean she didn't have friends when she was younger that she grew apart from. That's like saying because all the Southern Water Tribe weren't waiting for her when she got out, she doesn't have a tribe. When I was a kid I played with kids in my grammer school but I don't count them among my close friends as I grew up. My closest friends were from when I was a teenager. But given how she has spoken about her tribe, and her interactions with her cousins, I don't think she's the social cripple you make her out to be. Because I think you're forgetting something really important. They didn't rob her of a traditional childhood, fate did. Korra wasn't supposed to know she was the Avatar until she was 16. And when she did, she was supposed to travel the world mastering the elements under the guidance and protection of each Nation. That's what almost every Avatar has done. But they couldn't do that with Korra because she discovered her destiny when she was 4 and they had to start training her early. It's not like they are going to sit around letting a little kid bend all the elements without guidance for 12 years, because that makes absolutely no sense. The circumstances called for them to act earlier. You seem to gloss over this important fact. I think it's perfectly logical that her parents had the right to make that choice for her because she was a freaking toddler and they had to make the difficult decisions to protect her. It is not her parent's fault she is the Avatar. It's not her fault either. It's the hand destiny dealt her. And to be fair, Korra's upbringing isn't that different than the last traditional Avatar, which was Roku. Roku grew up in a stifling enviroment, constantly being told what to do and it sucked for him too. The only fault I can find is that when she came of age a year ago, they should have told her the truth because she would be old enough to understand. Instead they chose to keep it a secret and keep lying about it, which is where I disagree with them. I think Tonraq & his wife should have told her before she left for Republic City. They should have trusted her to understand, instead Unaloq used it to blindside her into making rash decisions. I'm not going to play this baiting game with you. How about you point out dialogue that flat out says she grew up without friends or any childhood happiness? I'm not disputing she was sheltered, she definitely was, but out of all the options out there I think it was the best choice for her. And you are making a lot of assumptions on how socially crippled she was. Korra doesn't talk much about her past. But she seems to be pretty well adjusted, she interacted with her tribe and their customs, she obviously interacted with her weirdo cousins. Those are some people right there. But I can't make up facts about Korras life that they haven't provided us. The fact of the matter is, no one has any concrete proof that Korra DID or DID NOT have any friends or social interaction growing up. Nothing that isn't an assumption. So please don't try to ask me to lie or make up things to make my point. She wasn't imprisoned, that's so melodramatic. People like to pretend she was but she really wasn't. Korra was kind of treated like royalty. Sheltered because of her role in the world, but well cared for regardless. It was a strict upbringing, but that's the curse of being the Avatar. When she wanted to take Naga out for the run in the Series Premiere, yeah she got some attitude, but she still was able to go out. Korra had some sense of freedom, but neither you nor I know the exact amount. But making assumptions that she was some prisoner does not constitute fact. And btw, I'm going to go back to my earlier point that Korra was a toddler when she found out her destiny. Taking her around the world to be trained away from your family doesn't seem like the best thing to do for a kid. The normal rules don't apply. And again, pretending the world doesn't have bad people that could be a threat to her is silly. Would you let your 4 year old daughter forsake her worldly attachments to be the Avatar and go around the world learning the elements? And since you like hypotheticals so much, what if Korra did travel the world as a toddler without her family, would she really be that much better off now? Wouldn't the argument of stealing her childhood from her be so much worse if they did what you said? The thing is, within the next two weeks this all is going to be moot. I'm pretty confident both sides will see the errors of their ways. I think her parent's will realize they have to let go and trust her. And she's going to realize all that was done to protect her. People can be mad all they want about this all, but this is just a minor conflict that will be resolved soon. Eh, I just kind of accepted it, because we already know Jinora's inquisitive and invested in the past. So for her to take that spotlight at the temple seemed fine to me. Also I love her. Yeah, it wasn't a major failing or plot hole or anything. I just wonder if Jinora's plot might not be smaller than we're all assuming. God, I would be so in favour of that. I am not saying that there are no threats, and that Korra could just go into the world alone. The OWL could have sent dozens of well trained bodyguards with her if need be. However the fact remains that by Korras time, the fire nation was no longer a real threat (the ones wanting to have revenge on Aang through Korra would be dead or incredibly old). Basically, the point I am trying to make is that there was a risk to Roku too, but he was not cloistered and prevented from traveling the world. There was a risk to Kuruk too I am sure, and he traveled. Yangchen probably had people who would have wanted her dead too. And so on. All the avatars had to face the possibility of danger when they went out into the world, but they all still went and got to experience the world, make friends and generally experience proper social contacts. Why did Korra not get that opportunity? I don't buy the idea that the risk to Korra would for some reason be so much higher, that she would have to be imprisoned in a compound like she was, and forbidden the experiences that all the past avatars had. In fact, Yukone is a legitimate threat if you want an example of one. By the time Aang died & Korra became the Avatar, Yukone had escaped from prison based on what Tarlok said. Yeah we know he was powerless and went into hiding, but there was no way for the her family, the OWL, or Kataang's family to know that he was hiding and wouldn't seek revenge. And just because he can't bend, that doesn't mean he can't be a threat. Thats what bodyguards are for. If the OWL are so incompetent that they could not protect Korra while she was traveling around the world (especially if she went incognito), then what would stop Yakone from just attacking Korras compound and assassinating her there? No one even knew Korra WAS the avatar did they? She could easily have went into the world, walked past Yakone, and Yakone would not have had the slightest idea who she was. Do you think Korra would be carrying a big sign saying "I am the avatar, try and kill me". If it got her out of the compound and seeing the world, I am quite certain she would agree to be discrete. So in a nutshell, Korra would not have been in any greater danger than any other avatar. The security argument fails in my opinion. She openly states that a polar bear dog is her best friend. And in 14 episodes, we don't have ONE SINGLE MENTION of friendships beyond what she develops in republic city. If thats not enough for you, then I guess we will have to disagree. You say that parents have the right to make decisions for a toddler? Ok. Then answer me this. Why did those parents not decide that Korra was too young to take on the responsibility, and decide to wait until Korra was 16 before her training started, so she could have a normal childhood? Korra may have discovered her bending talents early, but that does not mean all the hard training could not have been delayed until she was 16. That way, she could have had what all the past avatars had. There was NO REASON to start training her that early. No one knew of Amon. There was no impending war like in Aangs time. And so on. Korras training could have been delayed until she WAS 16. They should never have lied to her in the first place. And they certainly should not have blamed her past life for it, considering that for avatars, the previous avatar serves as a counselor. They risked turning her against Aang by lying and blaming him, which could have been disastrous. Yeah, so no proof of any friendships then. Obviously Korra has not talked about her past all that much, but I don't agree that everything has to be spelled out to us. We can read between the lines. Everything points out to the fact that Korra had no serious friends and you know it. Did that damage her mentally? I don't know. Can I prove with absolute 100% certainty that she had no friends, no (though the fact that a Polar bear dog is her best friend is VERY suggestive), but I would argue that the odds are on my side, considering that Korra HAS been in situations where we would have expected to learn of her old human friends, and did not. For example, can you give me a rational explanation why her old friends from South Pole were not there to greet her in the newest episodes, when she returned for the festival? We both know you cannot. Korra: "[Cut back to Korra; defiantly.] I get that, but I don't think keeping me locked up in this compound like a prisoner is what he had in mind. " Those were Korras words to the OWL guy in the first episode. And this is the opinion of Katara. "locked up", "prisoner", "escape". Seems like imprisonment to me. And btw, I'm going to go back to my earlier point that Korra was a toddler when she found out her destiny. Taking her around the world to be trained away from your family doesn't seem like the best thing to do for a kid. The normal rules don't apply. And again, pretending the world doesn't have bad people that could be a threat to her is silly. Would you let your 4 year old daughter forsake her worldly attachments to be the Avatar and go around the world learning the elements? No. I would raise her as a normal child and do all I could to make sure she grew up happy and balanced, and start her training to become Avatar when she was 16 and ready. Just because Korra discovered her abilities at an early age, does not automatically mean that she has to start training right away. There is no universal rule that states that the moment an Avatar bends multiple elements, she has to be instantly taken away. You know, I honestly felt that for all the bloister Tenzin, Unalaq and Tonraq are spouting that they know what Korra needs to do to connect with her spiritual self... I think they are setting up Jinora to be Korra's Spiritual Sifu. Like how Katara and Aang learned waterbending together and eventually she became his waterbending Sifu. While Jinora is very intelligent and educated, she also seems to be the most spiritual. Tenzin can keep teaching Korra airbending because I want to see Korra do more than gusts of wind & air scooters without the Avatar State. But I think that's why Jinora is having these spiritual awakenings, finding the statue of the first Avatar, sensing something in the statue room. I think she's going to help Korra open the doorway into the Spiritual world and travel that road with her, to act as a guide and companion. Which honestly, I prefer more than Tenzin or Unalaq. Jinora has a quiet strength and humility that Korra could stand to adopt. Jinora is the bomb. Out of everything I've seen so far, I'm most excited to see her journey this season. She didn't travel the world because she was a toddler and it wasn't safe. Just my opinion. I'm not going to rehash points I already made. BTW, I don't think she's "damaged mentally", as you referred to her. I think she's a teenager and shes immature, but on the cusp of real maturity. You've ask me why I need it explicitly stated that she grew up mentally damaged, why I can't read between the lines? I ask you why you need it explicitly stated that Korra had some kind of childhood, why can't you read between the lines? She interacted with her tribe, her family and the OWL growing up. And Tenzin's family. Just basing that on what I've seen and heard from the show. And what can I say about Naga? Sometimes a Polar-Bear dog is Man's, or in this case Woman's, Best Friend. Some people's best friend is their pet. It's based on our point of view. I don't see her as a victim, like I said, I see her like someone who was sheltered with guards and a privilaged upbringing, much like royalty. She's sociable, not a recluse or shy or awkward, at least no more than any other teenager. And at 16, she started traveling the world like the Avatars before her did, except Aang. I think it is funny you think her parents could have stopped Korra from wanting to train to be the Avatar. You say they should "make her wait until she's 16"? I'm paraphrasing. But our Korra? Headstrong and opinionated? Korra's primary focus has always been being the Avatar. That's her identity. She's known it from a young age, reveled in it, it's who she is. She doesn't see herself as anything beyond that. It's why she was so torn when Amon cut off her connection to the elements. She refers to her seclusion in the compound as a prison because she is a melodramatic teenager. To counter your point, Korra complained to Mako that Tenzin's was treating her like a prisoner too. Another example of her being melodramatic and in a rush to be the Avatar. Tenzin may have been harsh when she first came to Republic City, but they developed a great relationship in the first season. She had a really good life in Republic City, you know, aside from the Amon craziness. And this season Tenzin wanted to take her around the world to see these amazing places, which I thought would thrill her, to hopefully connect to her spiritual self. He wanted her to master Airbending, which frankly she hasn't. He was just trying to help her like he promised in the very first episode. Back in the series premiere everyone including Tenzin, Korra and Katara felt he would be the best spiritual teacher for her. But for some reason she thinks because she's unlocked airbending she's a master and because Aang gave her the Avatar State, she's an expert? That's just immaturity. And she's going to grow out of that. Anyway, I feel the way I do about the situation. You feel the way you do. Let's just agree to disagree. I don't want to go back and forth rehashing the same opinions when ultimately this is going to be a moot point in a week or 2 based on the trailers. Tonraq and Unalaq kinda remind me of Thor and Loki except not really. Idk. In their looks, I guess. And their backstory kinda sorta reflects the Thor movie, with the dude getting banished and stuff to Midgard/South Pole. Idk. It's not much comparison really, just something it really reminded me of. The only thing I can come up with is, going by that clip from yesterday, Jinora's subplot is meant for Tenzin to act like a better father. There's the much-discussed stuff with Korra, and that clip from Episode 3 we know that Aang (apparently) disproportionately favored his "special" child. So there's a trend of what you might call bad fathering there. I'd guess that the sudden rise of Jinora, coupled with her feuding with Ikki, is a way to explore Tenzin's character now that he's been made aware how this sort of parenting has affected other people. Jinora might need extra training and coaching with her ability, but we'll see Tenzin setting aside time to make his other children feel just as valued. That way he won't treat Ikki and Meelo like Aang treated Tenzin. We need Korra having a reasonable childhood explicitly stated in canon because extra-canon sources confirm otherwise. It's less that we can't read between the lines, and more that we're not willing to ignore some lines just because they haven't been put in the show yet. And at 16, she started traveling the world like the Avatars before her did, except Aang. This is demonstrably untrue. Korra is seventeen when the show starts, and it's made perfectly clear that the original intention -- before she ran off to Republic City on her own -- was for her to stay in the compound in the South while Tenzin trained her. Considering how long it took her to learn the other elements, she'd probably have been stuck there until the age of twenty... if not longer, given that Tenzin was planning on leaving her there with nothing to do because he couldn't break away from the city long enough to train her. Or, Korra doesn't see herself as anything beyond that because she's never been allowed to define herself in any other way. Considering how quickly she starts developing other identities once she reaches Republic City, I'm inclined to think it's the latter! If Korra was given the option when she was young, would she want to be trained in bending? Of course she would. But she'd probably want to be trained in her own home village. She'd probably want to be given breaks to talk to and play with the other kids her own age. She'd probably want to be allowed to take Naga for a walk without having to petition a guard to let her out. The compound is not in any way necessary for Korra to learn how to bend; she could have learned what she wanted to learn without it, and had a proper childhood in the process. It's important to point out that Tenzin regressed, I think. =P Korra said he was treating her like a prisoner... because all of those privileges she was given during the fight with Amon were suspended immediately as soon as she learned to airbend! From the sounds of it, she ended up getting stuck on the island constantly, the way Tenzin originally intended, rather than being allowed to have free time of her own outside of training. And, as awesome as trips to the Air Temples sound, they'd be considerably less appealing if they meant no contact at all with one's friends and constant surveillance. =/ I don't think we're meant to write off Korra's complaint about Tenzin just because Tenzin was better last season; there's no reason to accuse her of regression and then ignore the blatant regression on his part. First of all, I love the idea of Jinora as spirit teacher to Korra. That whole scene was so wonderful, as it was a nice, warm almost emotional moment that provided a nice balance to the series that the first season needed more of. I would love to see where they're going with it. As far as Korra being sheltered her whole childhood, I gotta wonder... Where was Katara in all of this? I suppose the rest of the Gaang was either too spread out around the world or didn't live long enough to have a direct impact, but Katara was there the whole time, wasn't she? I can't imagine her abiding by this friendless, cloistered childhood, especially since the friendships she made growing up literally changed the world. Was she just out outvoted by the OWL? ^ I think that was probably the case considering Katara actually encouraged Korra to leave in the very first episode. Gosh, I used to write such embarrassing messages... better delete it before someone read it. ^I think it's perfectly okay to be bothered by it (it's childish) but trust me, if LoK was that disliked, it wouldn't get 3 more seasons. More people like and love it than those who don't, it's just that those that hate it are more vocal about it. Is it pathetic that I'm kinda annoyed with people who hate Legend of Korra because it solely exists and nothing more? I mean, I can understand criticism and I respect a lot of people here and, thanks to Koh, haters for the sake of hate aren't on this forum. :/ But I love the Gaang a lot too but that doesn't mean I hate Legend of Korra because they aren't in it... *sigh*. I'm actually worried if there are more people who dislike the series more than who like it. But at least most give legit opinions and not childish tantrums. True. Legit criticism is fine but if you're one of those people who says "I hate it because it didn't live up to my expectations so therefore everyone is stupid for liking it." then yeah. It's childish. I think the problem is that as of right now, Korra's negative traits are overshadowing her good traits (yes, she has good ones) to the point where she is becoming unlikable in some people's eyes. If the writers are going for a character who is meant to be unlikable at first than great, but if she's going to regress every episode then we have a problem. What? Did these people not watch ATLA? It's really sad and ridiculous that people put so much stock in this. Edit: I love how everything is Bryan's fault. Not Mike, Bryan is mainly at fault. Yeah, I saw that. Gave me a good laugh to be honest. You have to remember that on the internet, haters are always going to be the most vocal. Trust me, the haters are actually a pretty small percentage.